From April to October of 1978, Jean-Luc Godard made seven trips to Montreal’s Concordia University, delivering two lectures on each occasion. These lectures followed a simple format: the morning was devoted to showing excerpts from classic films, as well as works from the first decade of Godard’s career in their entirety; the afternoon to public discussions moderated by Serge Losique, head of Montreal’s World Film Festival and a Cinema Studies professor at Concordia. Their stated purpose was to begin research toward a video series offering a true history of cinema, a project finally realized two decades later as Histoire(s) du cinema. This book, first published by Albatros in France in 1980 in a substantially different form as Introduction à une véritable histoire du cinéma, and now appearing for the first time in English in a comprehensive edition via Montreal-based publisher caboose, is, in truth, not so much a book as the direct impression of an experience, a present-tense record of an ongoing conversation in search of true methods for thinking of, and communicating about, the cinema. If the basis and the mode of communication are clear, it’s the things themselves that prove troubling; as Godard says, “[t]o show a mix-up clearly is quite difficult.” The lecture series format allows him to work through these mix-ups systematically, following a shape like Mao’s spiral, returning over and over to a number of essential concerns. 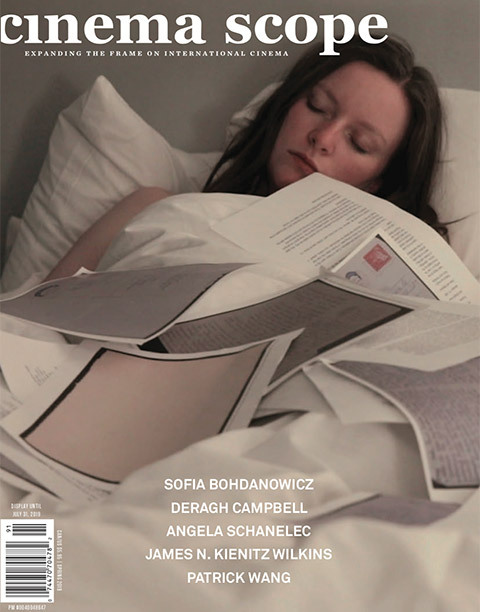 At the heart of the talks, and at the heart of Godard’s entire worldview, is the conflict between the image and the word, which formulates bluntly as “images are freedom and words are prison.” (Godard has recently begun production on a film entitled Adieu au langage 3D.) One can follow even the most seemingly unrelated points of discussion across the fourteen meetings back to this binary. 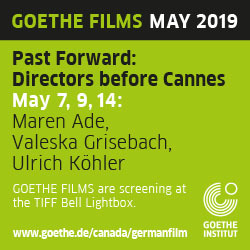 During the lecture on Weekend (1967), which included a French-dubbed excerpt of Germany Year Zero (1948), a conversation on the relative merits of dubbing and subtitling leads Godard to conclude that “because we’re a very cultured or literary civilization, we think it’s better to read bad lines than to hear bad sounds.” The process of working through potential options for dealing with the problem of foreign distribution leads him ultimately to one of many examples of a cultural basis that places the word before the image — which for him is as much sonic as visual (his production company is called Sonimage) — even in situations where both are flawed. 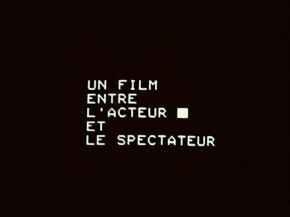 One finds this conflict in everything from his disgust with Truffaut’s Day for Night (1973), which “reinforces people’s idea that cinema is a mystery” and obscures the image of history with the language of myth, to his distrust of the star system with its close-ups that privilege the face — for Godard the site of language — over all else, to the probing claim that silent cinema was killed by literature, which saw it as abnormal because of its distance from language. Indeed, it’s this primacy of language in the very format of the talks — an effect of not having access to the equipment that would allow for Godard to carry out an image-based conversation in his ideal manner — that renders this only an introduction, a discussion functioning at one remove working to, to use Godard and Losique’s metaphor, prepare the garden for planting to be done later. We might then ask why, when the planting has been done and the crops harvested, Introduction to a True History of Cinema and Television is worth anyone’s time today. The answer is simple, and three-fold. First, because its statement of ideals provides the skeleton around which a real film criticism could form, one that certainly still doesn’t exist today, when the majority of film criticism is written by, as Godard calls them, “literary types”: “Then they put a photograph so the newspaper reader can be certain that this is the film they’re talking about.” Even as the video essay gains prominence, its most common form is profoundly non-Godardian, one where the image functions as illustration, its freedom stripped away by the prison bars of language. There are some (B. Kite and Gina Telaroli chief among them) who have truly followed Godard’s vision of cinema criticism, working with the full range of expression of the image (a space that still allows for language, as evidenced by Kite’s very talky Vertigo Variations); their work is both the fruit of this gardening and a rallying cry for the continued importance of Godard’s approach. The second point is that Introduction to a True History of Cinema and Television, in its systematic working-through of Godard’s thought, serves as an essential tool in explicating all of Godard’s work up to the present day. Throughout the talks he speaks harshly of his own older works (only Deux ou trois choses que je sais d’elle  seems to really excite him, and his enthusiasm for even that dampens after screening it), and his level-headed considerations of his own failings are useful as a first step beyond a view of Godard as either deified or hermetically removed. 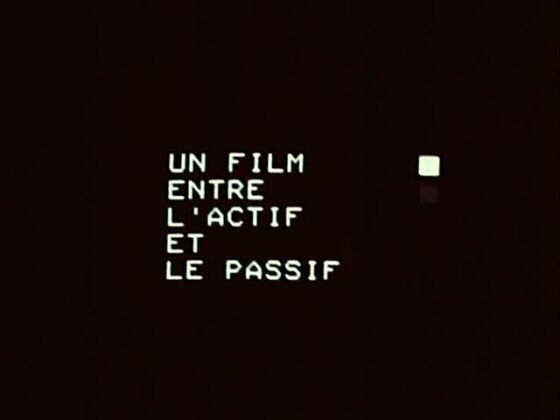 Here again, there is the return of the conflict between word and image, where Godard’s desire to put himself directly into the film in order to plainly show the reality he experiences to allow for its critique (image) runs up against the obscuring quality of the name “Godard” (word). He refers to his years with the Groupe Dziga Vertov and working in television later in the 1970s as an effort “to no longer have a name, to have a different name than my own,” a process which continued after his return to narrative filmmaking, whether in his turn toward canonical texts (the Bible, Shakespeare) or the collective action of Film Socialisme (2010). The third point is Godard’s clarity and persistence in presenting a necessary fact that is too often ignored, either because it is too small or too big to grasp: that there is a crisis on both sides of the camera, a lack of thought given to the audience, and a lack of a potential audience to accept that thought. For Godard, “very often a film is bad not because it’s bad in itself, but because it is shown in a place where it can’t be seen.” Against the “totalitarian idea that a film should be seen by everyone” Godard cites on multiple occasions the inspiration of the 100,000 workers who attended the funeral of activist Pierre Overney in the creation of Tout va bien (1972). If there are 100,000 individuals who are interested enough in the death of an activist to attend his funeral, then presumably there are 100,000 individuals who would be interested in a film in line with his ideals. The trouble thus becomes finding a mode by which to reach the maximum number, but this nonetheless sets an upper limit, giving one a frame to work in. If, as in the case of Tout va bien, the film only attracts 20,000 viewers, at least one can be certain that it was seen by 20,000 viewers who really saw it. This is a critical reminder in an age where the democratization of video has led to a romantic view of cinema that absolves the director of any concern for an audience, a view that doesn’t so much lead to personal films as to solipsistic ones. Such a consideration of the audience isn’t just economics or accounting, but a question of form (“There may be 100,000 or 50,000, and you find the form to reach them”), which leads directly to Godard’s formulation of cinema’s revolutionary potential. Fascism and socialism are only words that can be applied freely, but a change in form is a true change, and it is the cinema more than anywhere else “where it is possible to change things that aren’t working. In other places you need too many people, too many things for this to be possible.” The revolutionary movement flows both toward the film, in the process of collaborative creation, and then back out into a receptive audience who see it for what it is and engage its ideas, building a conversation that reaches toward the horizon of revolution. Introduction to a True History of Cinema and Television is true in many ways: in its schema for an engagement with images, in its own engagement with the work of Jean-Luc Godard, in its explication of the central struggle of the image and the word, and in its understanding of the potential for cinema’s future as learned from its past. And so, if by its very design it can only be a failure, functioning at a remove, pointing toward the real work, capable only of introducing us to the struggle, it is nonetheless essential, very surely the most important book on cinema that will be released this year. Jean-Luc Godard’s Introduction to a True History of Cinema and Television will be released in September 2012 by caboose and will be available exclusively on-line from the publisher at www.caboosebooks.net, in addition to those bookstores in Canada and Hong Kong where its new edition of André Bazin’s What is Cinema? may be found.